WARNING: PS OWA REQUIRES A HEATED PLATFORM. 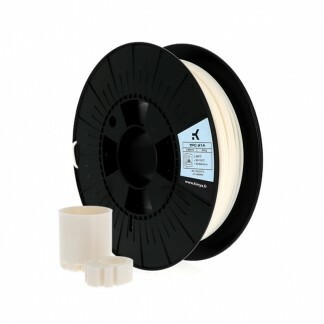 PS OWA FILAMENT is a new material for 3D printing that offers an alternative to conventional ABS filaments. 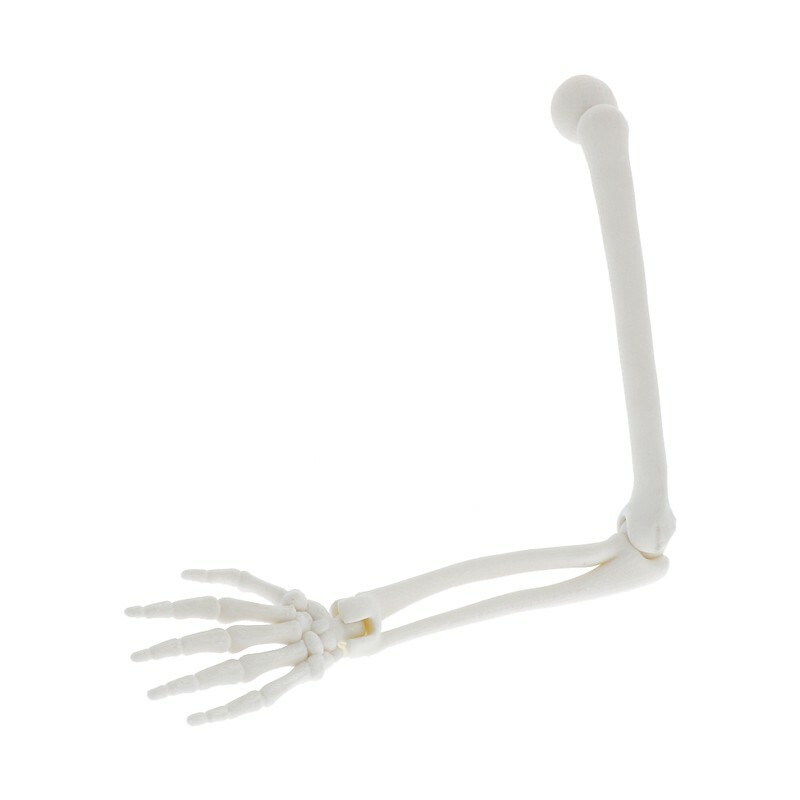 PS is a technical, lightweight and durable thermoplastic that offers a quality alternative to conventional ABS. It combines the mechanical properties of an ABS (acrylonitrile-butadiene-styrene plastic) filament with a better surface finish without any toxic fumes. Printability: good adherence to the plate, quick printing, a very regular filament that avoids blocking of the nozzles during printing. Easy post-treatment: secondary operations like finishing (filing, sanding), soldering and bonding. 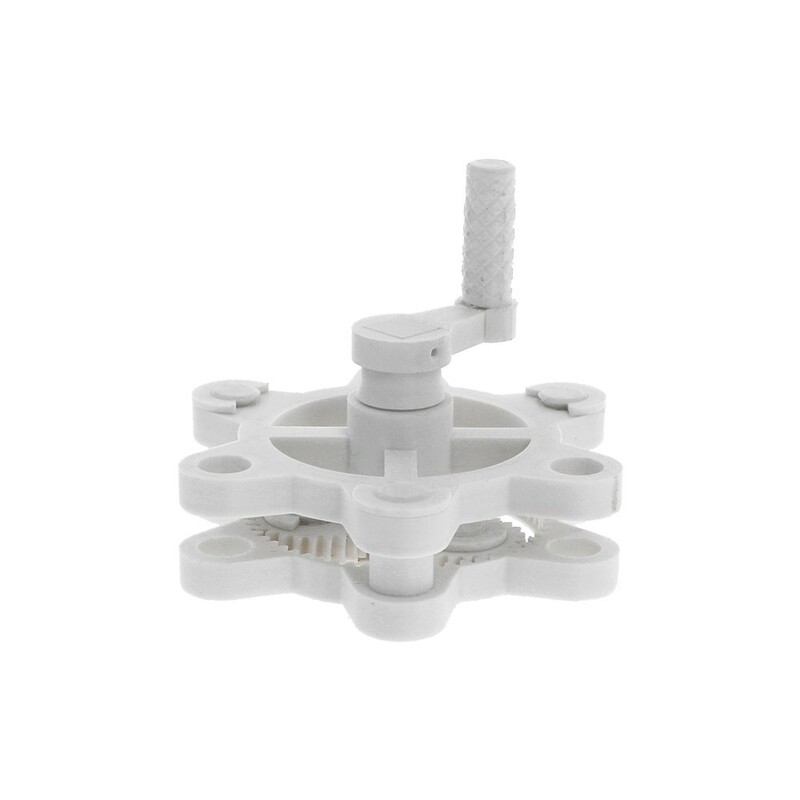 Visual quality: excellent quality of parts, of surface finishing and resolution, good dimensional stability, the precision of printed parts (true to dimensions). Now it’s your turn, give volume to your ideas! PS OWA filaments are the result of a wholly controlled and certified plastics recycling process. OWA spools and filaments are the results of reused materials recovered in particular from used ink cartridges collected and recycled by ARMOR. 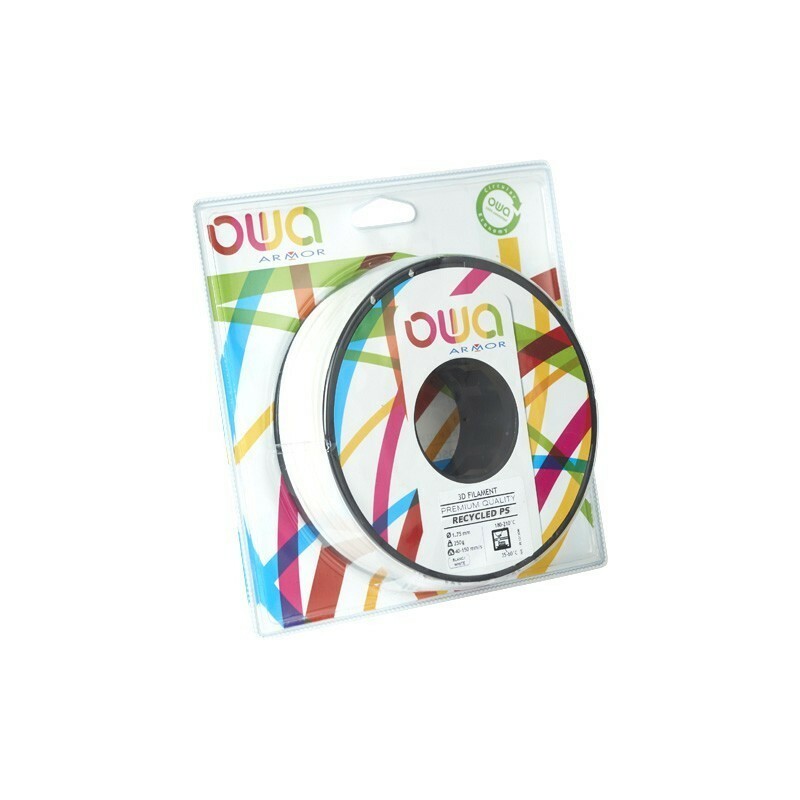 Combined with a collection service, OWA spools and filaments are designed to be completely recycled after use. 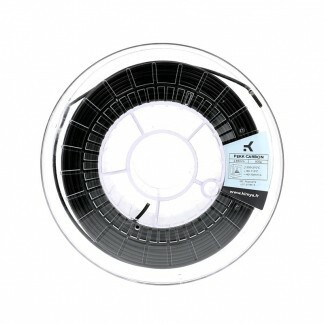 A 30% reduction in carbon emissions environmental impact compared with a virgin filament. You print in a responsible manner with a clear conscience. PS OWA filaments are tested and confirmed to be harmless for the health of its users. In order to guarantee user safety, Armor 3D has measured the VOC (volatile organic compound) emissions while its PS filaments are being used. The study proves that Armor 3D filaments present no health hazards in normal conditions of use. Tests are carried out at each production stage to ensure the regularity of our filaments and guarantee their compatibility with all printers. 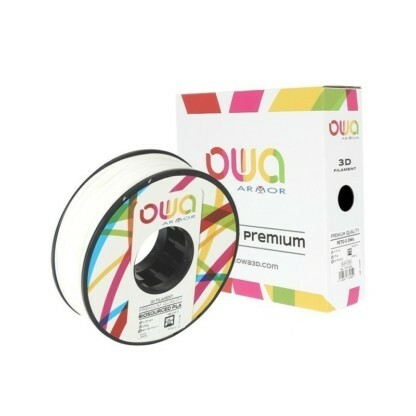 No bubbles and a constant diameter, with a tolerance of ±0.05 mm, that guarantee smooth operation of the print nozzles and constant print quality from one spool to another, whatever the colour used. 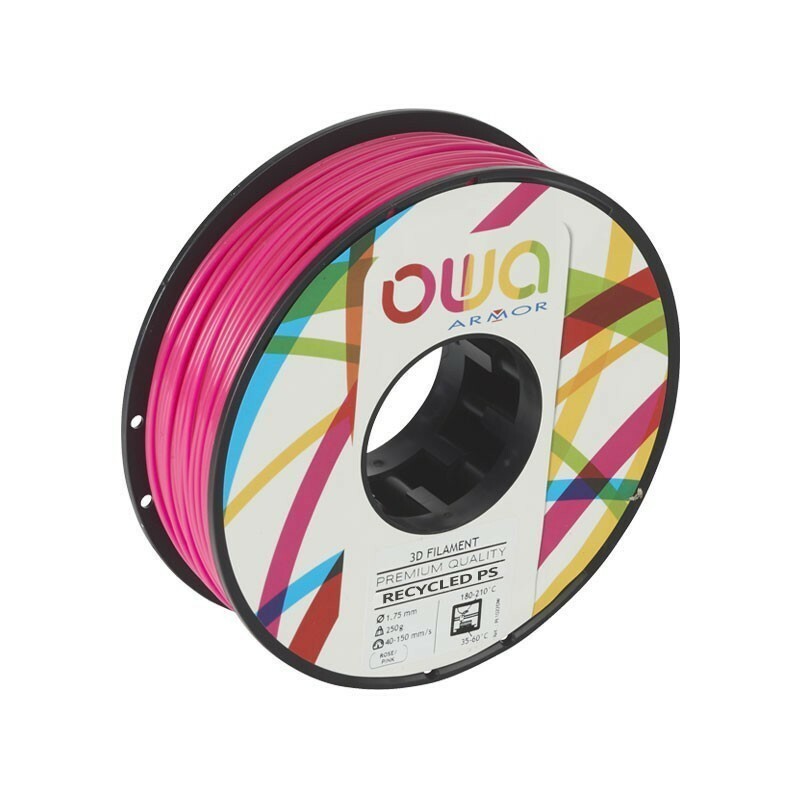 Available in two diameters (1.75 and 2.85), PS OWA filaments are compatible with all 3D printers and pens. PS OWA filaments come in a variety of packs. 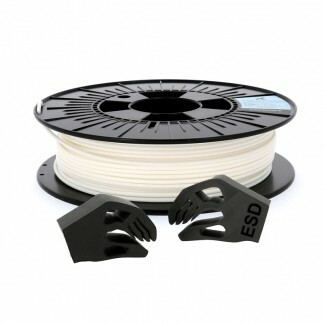 Makers, schools, universities, design and engineering firms, DIY enthusiasts, marketing or innovation departments… whether your 3D printing requirements are regular or occasional, we have the pack of 3D filaments that meets them.